The following is a review of Answers for Homeschooling from Master Books. 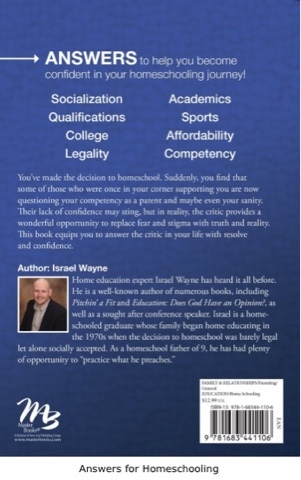 Answers for Homeschooling: Top 25 Questions Critics Ask by Isreal Wayne gives answers to even the questions we wish that we didn't have to answer. 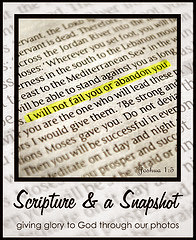 This 192 page book is available as paperback or as an e-book. The book is written in an easy to read conversational style. 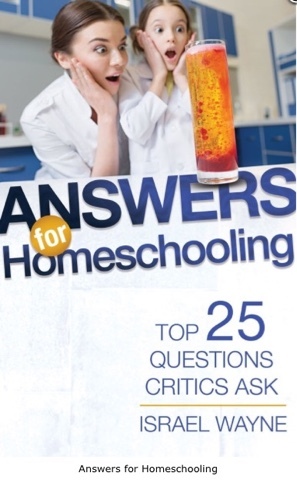 It answers questions of critics as well as questions of families who are contemplating homeschooling. "What if I don't have enough patience?" The author describes homeschooling as "parenting with academics." He also shares how it is also a part of God's plan to reach our hearts. The chapter "Is homeschooling legal?" describes legal battles both in the early days of modern homeschooling and currently. As the book continues, finances, peers, curriculum and methods of teaching, public school, and much more are covered through these 25 questions. The answers and commentary provided in this book provide encouragement about homeschooling. Disclaimer: I received a free digital download of this book in exchange for my honest review.